With a diverse background that includes the arts, media production and business startups, attorney Katrina Brede, the law firm's founder, brings a unique perspective to her clients who are dealing with legal issues involving these areas. A member of the Washington Lawyers for the Arts, as well as the Washington State Bar Association and the King County Bar Association, Ms. Brede is fully committed to her practice, and this commitment shows through in the high level of service and counsel she provides to her clients. 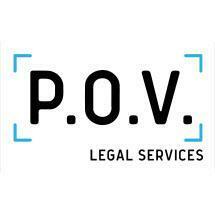 Regardless of the legal matter you need to address involving your business, your creative endeavors or your future, you can trust P.O.V. Legal Services, PLLC, for the quality assistance and support you deserve. For more information, you can contact the law firm to schedule a free initial consultation.